Hey there crafters! Latrice here with a fun and fast idea for party favors along with a banner idea. I love party planning especially when creating custom pieces for the decor and for the guests. 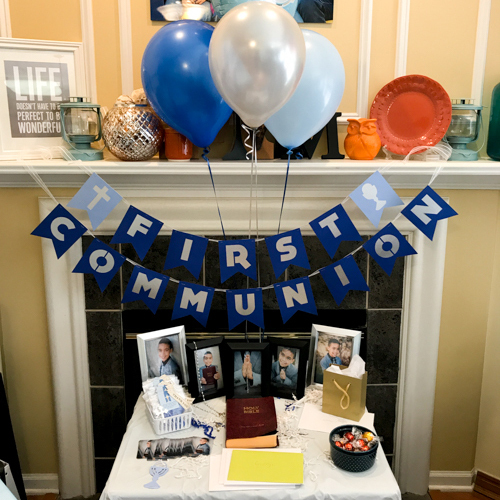 Last weekend my son took a big step and had his first communion. 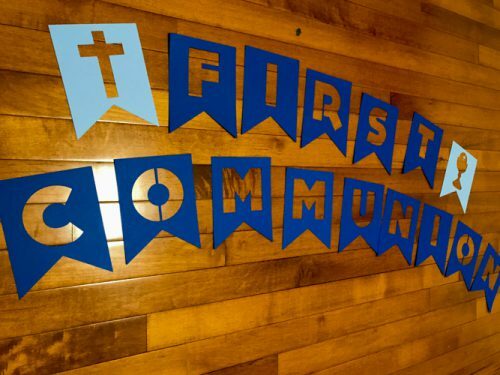 I found myself preparing last minute details for the party, but came up with two projects that really made it special. I had been on Pinterest to see how to make seeded paper for a favor. 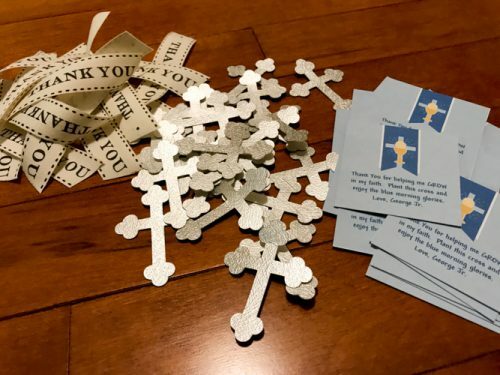 After making the fun seeded paper crosses I needed a cute way to package them up. 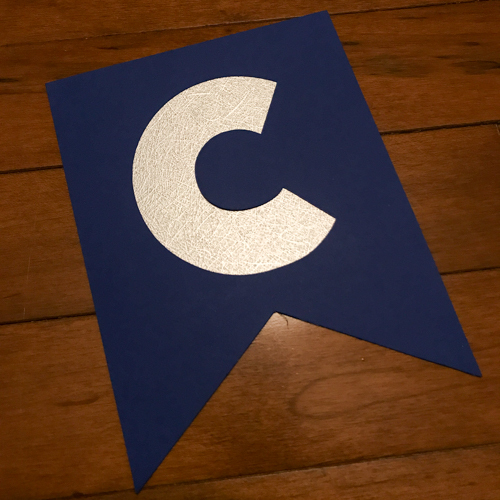 I also needed a statement piece and created a simple banner design to hang above the table area. Here is what I came up with. 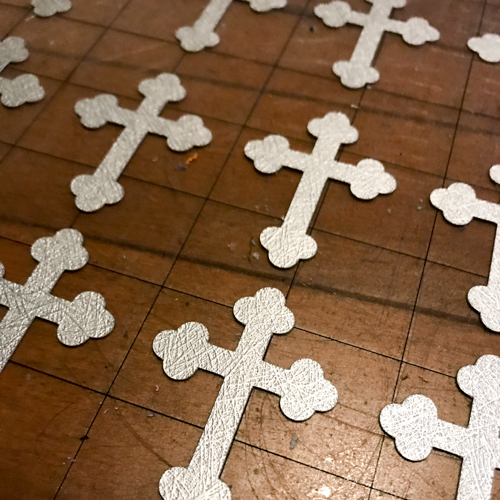 My first step was the cut out small crosses using the same silver paper I used on the banner. I cut a bunch out at once using my Silhouette. Next I created a small thank you message and printed it onto some white cardstock. The message reads “Thank you for helping me GROW in my faith. 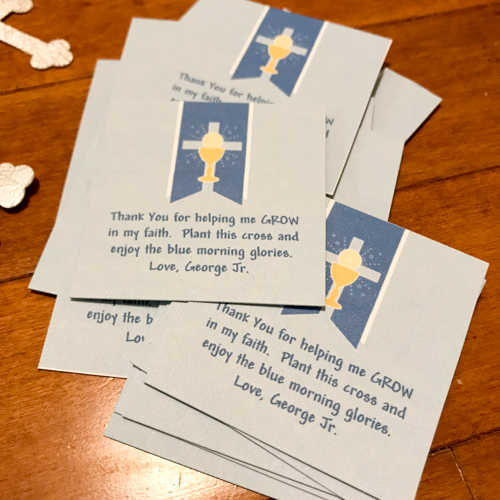 Plant this cross and enjoy the blue morning glories. Love George Jr.” Let me tell you our family was in love with these. I chose this flower to keep with the blue and silver colors of the party. 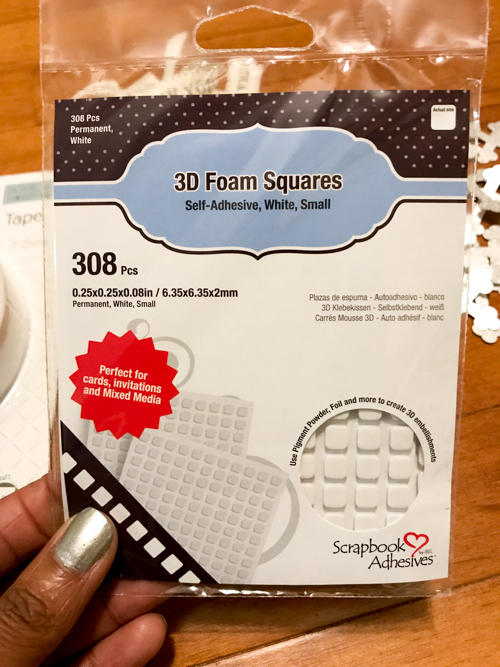 I grabbed my favorites: 3D Foam Squares- White, Small and Premium Double-Sided Tape 1″ to put it all together. The ribbon I chose is from May Arts and was the perfect finishing touch to this favor. Time to assemble. I lay all the pieces out for both projects and got to work like an assembly line. 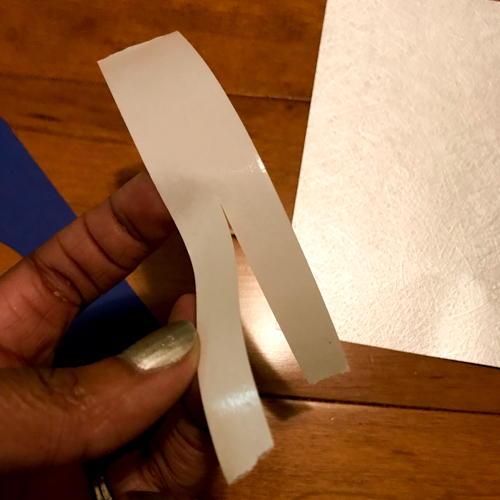 The banner pieces were backed with silver cardstock using strips of Premium Double-Sided Tape 1″. 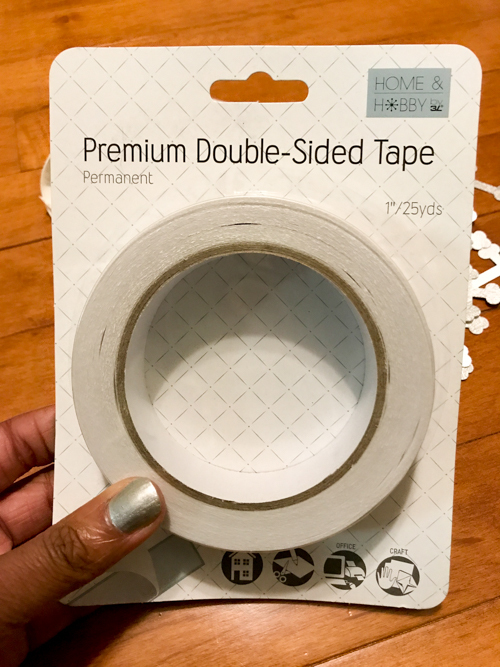 I love how easily this tape tears or cuts. It made adhering the pieces a breeze. I use the 1″ and just cut it to the size I need. 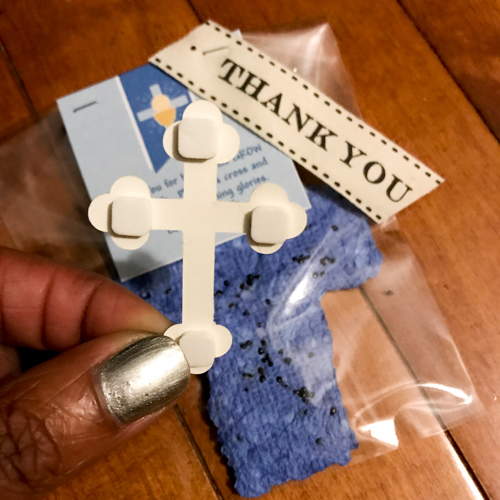 For the mini crosses the 3D Foam Squares- White, Small were the perfect size! I placed one on each end of the small cross to add to the favor packaging. I finished the favor and banner off with ribbon. 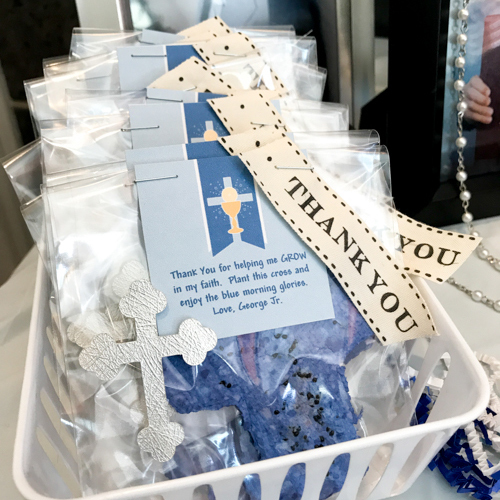 The favor pieces were stapled and placed in a small basket for guests to take. I can’t wait until the boys birthday next month. I haven’t decided on what type of party, but I will for sure be crafting something fun. Thanks for stopping by today! I hope you all have an amazing Mother’s Day and weekend. This entry was posted in 3D Foam Squares, Adhesives, Crafts & Tutorials, Home Decor, HomeHobby by 3L, Party Favors, Premium Double-Sided Tapes, Tutorial and tagged 3D Foam Squares Mix White, 3D Foam Squares Small White, Banner, Latrice Murphy, May Arts Ribbon, Party Favor, Premium Double-Sided Tape 1", Recollections, Ribbon, Silhouette. Bookmark the permalink.